These tips and products will see you through until your next appointment with your colorist. Sometimes, all it takes is a quick hairstyle change. 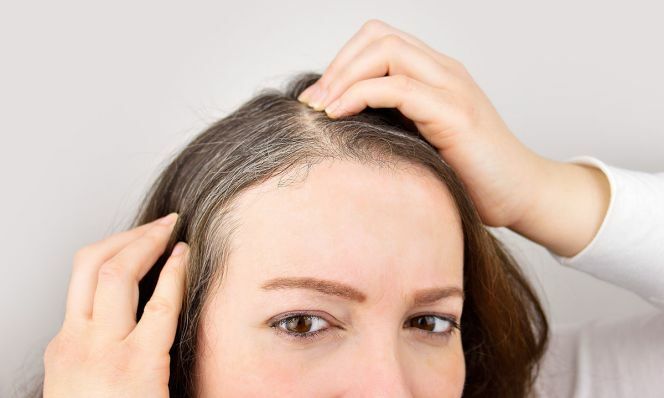 “Grab a wide headband and push it just past your hairline to cover gray roots,” says Rita Hazan, owner and colorist at the Rita Hazan Salon in NYC. She also recommends changing the side your part is on or doing a zigzag part to camouflage the grays. Of course, these tricks don’t actually cover them, but they can buy you a few days until you carve out time for a color session. In a pinch, “your mascara or eye shadow can double as a root cover-up,” says Miguel Angarita, a colorist at Oscar Blandi Salon in NYC. Daub it on after you get dressed, so the color doesn’t transfer as you pull on your clothes. If you just notice pesky roots on your way out the door, don’t worry. “The best time to use a root-concealing spray is when your hair is dry and styled,” says Revlon global master colorist Miquel Garcia. These sprays come in a variety of shades and are formulated to blend in with your hair color, not match it. To ensure a natural, not spotty-looking, finish, Garcia says to hold the can at least six inches away from hair and aim only at visible roots, especially around your hairline. 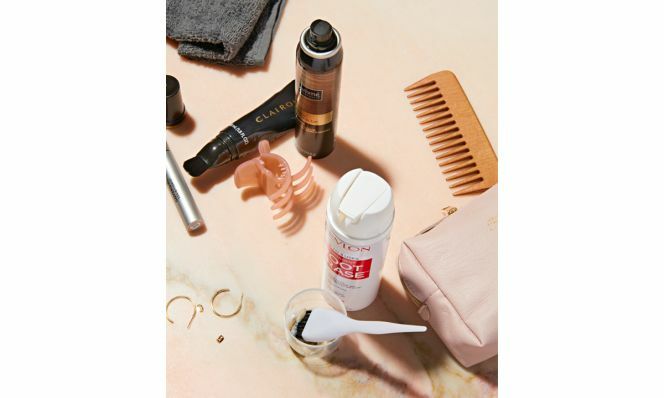 We like Tresemmé Root Touch Up Spray ($8) and L'Oréal Paris Magic Root Cover Up ($11). Both will wash out during your next shampoo. Erase Grays: Stash a root touch-up crayon in your bag to camouflage white strands that pop up—in brows too. recommend a brand and shade that would work best for your hair,” Angarita says. Be sure to really massage the formula into your roots when you apply it “to prevent a line or streak from forming,” Garcia says.